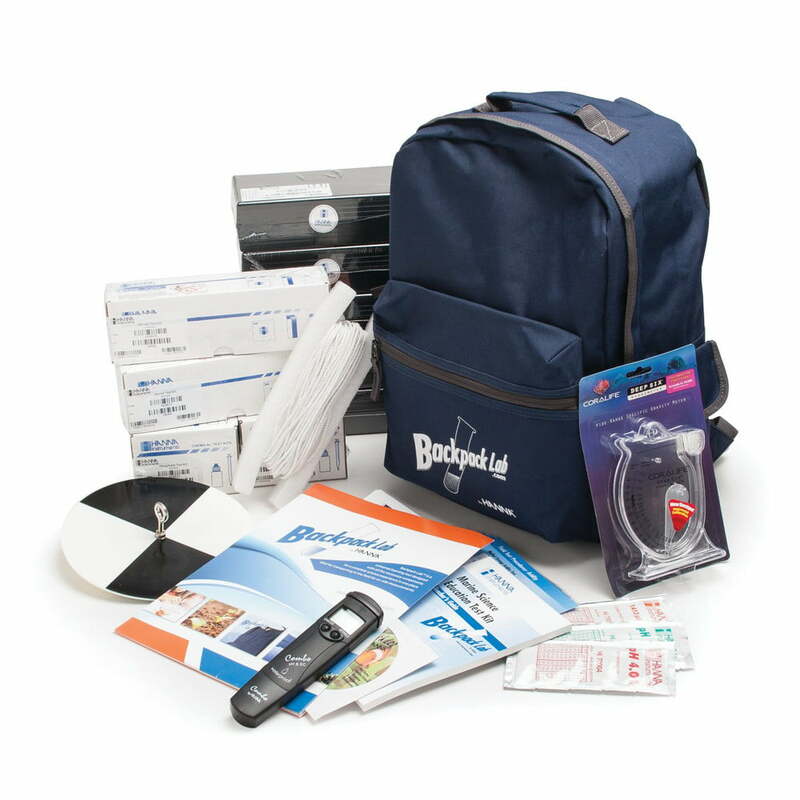 Ordering Information HI3899BP Backpack Lab includes acidity test kit, alkalinity test kit, carbon dioxide test kit, ammonia test kit, dissolved oxygen test kit, nitrate test kit, nitrite test kit, phosphate test kit, salinity test kit, secchi disc, hydrometer, HI98129 Combo pH/EC/TDS/temperature tester, set of 6 field test procedures, teacher’s resource CD, teacher’s guide, and backpack. HI3826-025 Ammonia, seawater (as NH₃-N), 25 tests avg. HI3873-100 nitrite (as NO₂¯—N), 100 tests avg.